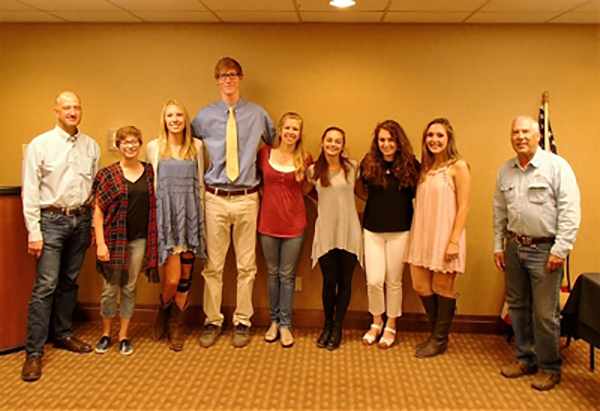 The Crested Butte/Mt Crested Butte Rotary Club honored the recipients of the annual Rotary Scholarship awards and the recipient of the Rotary “Service Above Self” award with a breakfast for the recipients and their parents. The funds donated to these local students were generated by the sales of tickets for the annual Rotary Duck Race held the 1st weekend of August during the Crested Butte Arts Festival. The Rotary Club of Crested Butte/Mt. Crested Butte is pleased to be able to assist the youth of our community to continue their education. We encourage students to apply for a Rotary Scholarship as we (Scholarship Committee) judge each application on its merit, financial need, and the guiding principles of Rotary International. It is the student’s responsibility to complete the application and to follow each of the procedures listed on the Scholarship Application (download the Application below). The scholarships are intended to assist in obtaining an undergraduate degree from a university, college or training in other accredited schools of higher education. The Scholarship Committee requires each scholarship recipient to begin his/her post secondary education in the fall term immediately following high school graduation. Scholarship funds will be sent directly to the institution of your choice for the upcoming academic year (we expect that you will provide us with the info – name of institution, address, student ID…etc).